Our youth continued to work on refining their understanding of the challenges and opportunities in their local communities, and the projects they have crafted in response. We worked on crafting a value proposition for each of their social innovations, to articulate what makes their innovation unique. Stay tuned as we continue to move towards our Spring Demo Days, happening this month and next! Last month, we were honored to help XLR8HI and HTDC host world-renowned social psychologist and professor of management at Columbia, Sheena Iyengar, who is known as one of the world’s foremost experts on choice. She is the author of the award-winning The Art of Choosing, (selected by the Financial Times as one of the Best Business Books of 2010), has appeared twice on the TED mainstage, and has been noted as one of the 50 Best Business Thinkers. An added bonus to this amazing experience was to be able to host it at the brand-new HTDC Entrepreneurs Sandbox - the very first event to be held in that space! We also spent another wonderful day with the young designers and experimenters of Superpower Academy! This time, we focused on exploring the intersection of STEM, SEL, and…. SCENT! Young inventors played around with a variety of tools and objects to build immersive experiences and objects expressing moods and self-awareness through scents. Thanks Superpower Academy for inviting us on the inventors journey with you! We helped to develop, test out, and deconstruct a Design Thinking for Educators workshop with our friends at The Janus Group. Thank you to the awesome group of attendees who dove in with us for a 2-day DT intensive, including DT basics, different approaches and viewpoints on the process, and for helping us dig deep on the role of empathy in transforming education into an empowering process and product. We look forward to offering the next version of this workshop in the near future! We supported our friends at Purple Maiʻa and Purple Prize during their Appropriate Design Thinking Workshop, led by Scott Shigeoka of IDEO and Elena Kawaiʻalauluwehionaona Farden of Elemental Excelerator which offered unique perspectives on indigenizing technological innovation. EI helped to support the educational innovation focus discussions over the 2 days of Purple Prize activities. We look forward to seeing the processes and products evolve from the hearts and minds of the Purple Prize participants! Through the 8 Forms of Capital framework, and illustrations of regenerative vs. degenerative systems and enterprises, Rowland and Landua help us to reimagine a world in which we leave extractive practices behind, and go beyond “sustainability” to “thriving”. We found this work transformational for our thinking and doing, and strive to share this mindset with others daily. Specifically in the work that we do with our student innovation cohorts, we stress the value of “mana over money” - meaning that wealth comes in and should be cultivated in many forms, and the pursuit of financial and material capital is at the root of much of the suffering we see and do in the world. Professional (and personal!) development is not limited to what you find at conferences and in courses - check out this sampling we've gathered this past month. If you have some to share, we would love to hear from you - email your suggestions to info@eduincubator.org. Over our years of teaching, we have gone paperless and back again, and firmly advocate for the power of putting pen to paper as part of brainstorming and group work. With our thousands of Post-its and their precious content, we often ran the risk of losing track of them over time, or having to transcribe each scrawly sticky note before being able to rearrange the words in a meaningful way. 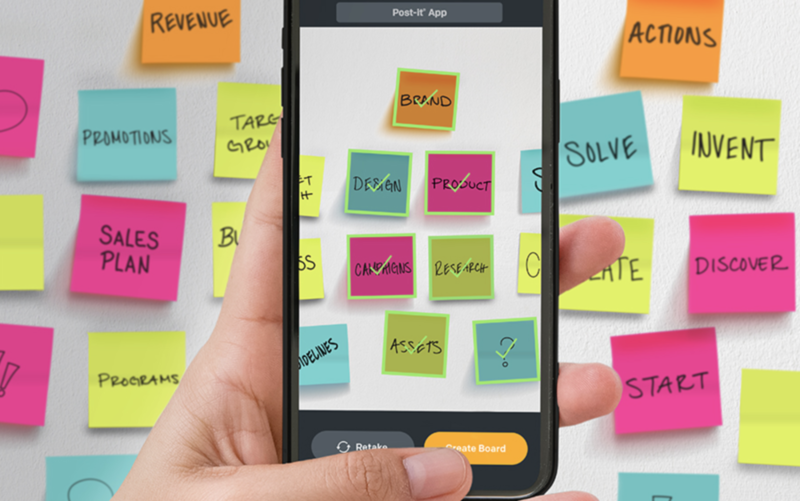 With the Post-It App, we can now take photos of clustered Post-its and have it automagically uploaded into maneuverable text boxes; we can also work directly in the app and go paperless if we choose. It’s the best of both worlds! Native Stories is an audio content platform and production house founded and run by mana wahine Nohealani Hirahara, focused on providing access to authentic stories and experiences of people, place, perspective, history and culture. Native Stories perpetuates and advances indigenous wisdom through the art and traditional practice of storytelling - tune in to the podcast and download the app! Stanford Social Innovation Review (SSIR)’s mission is to advance, educate, and inspire the field of social innovation by seeking out, cultivating, and disseminating the best in research- and practice-based knowledge. With print and online articles, webinars, conferences, podcasts, and more, SSIR bridges research, theory, and practice on a wide range of topics, including human rights, impact investing, and nonprofit business models. We love their free weekly newsletter - subscribe here! XLR8HI Pau Hana Series: Limited seating available for these incredible, FREE events! As we mentioned in our last newsletter, EI is overjoyed to celebrate so much happening in our family! Here are a few snapshots from the awards ceremonies that recognized the team from Rooted.684 as a finalist for HVCA’s Student Entrepreneur of the Year, and our CEO Miki as one of HB’s 20 For The Next 20. And a bonus post - our COO Hye Jung wrote this incredible post about her time at sea as an apprentice navigator aboard waʻa kaula Hikianalia on her first deep sea voyage from Hawaiʻi to California. Transformative Lessons from Wayfinding appears in The Natural Navigator, the website dedicated to work of natural navigator Tristan Gooley and the art and science of natural navigation - finding your way on land, sea or even in air using the sun, moon, stars, weather, land, sea, plants and animals. Thank you, Hye Jung, for sharing with us your life insights from Polynesian wayfinding!